Two weeks ago I shared a fun Luxe Tank that can be worn now with shorts and later into fall with jeans, white pants and a jacket. 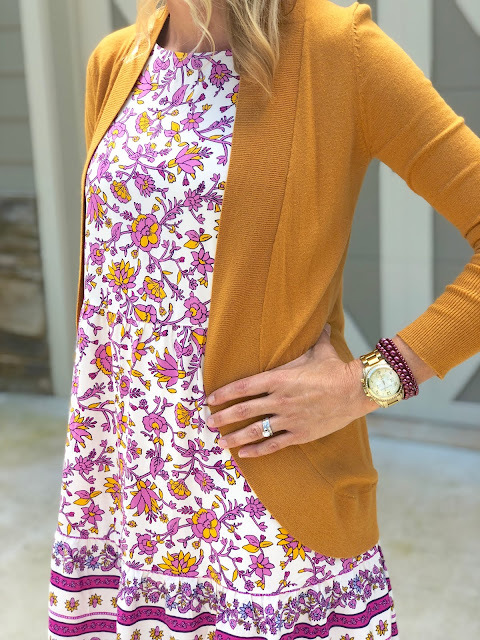 Here at The Magnolia Mamas, Jen and I are all about wardrobe pieces we can mix and match and get lots of use out of. 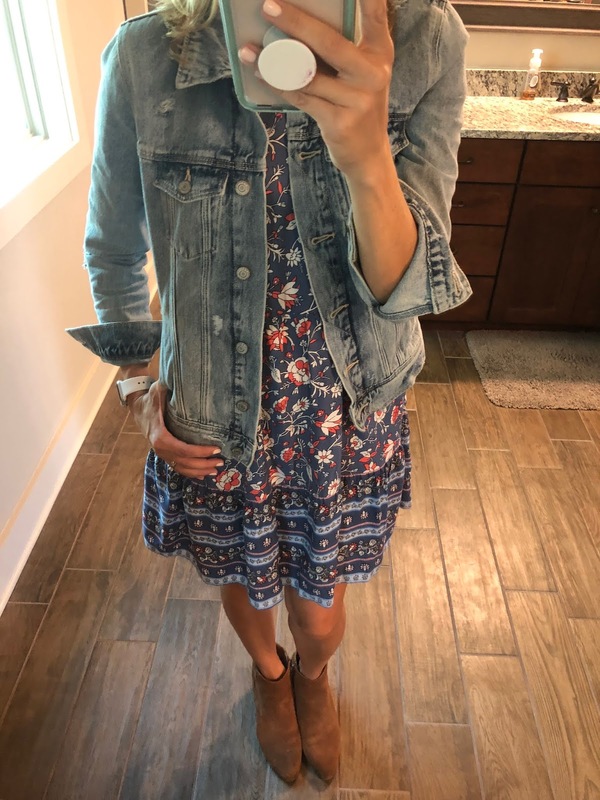 Well, I'm back today with another find that I just love and have gotten so many compliments on recently! 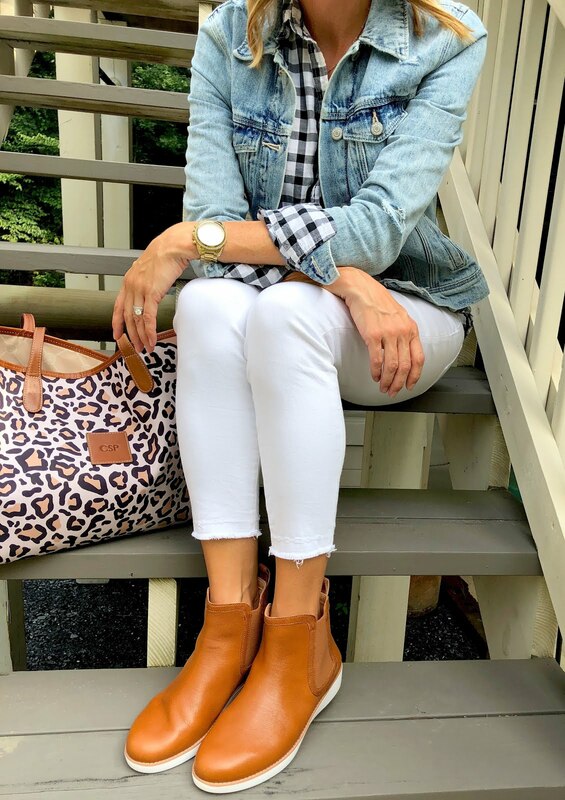 ...and later into fall with booties and a denim jacket! I actually loved it so much that I ordered this purple print also. Just like the blue dress, this one can be worn several different ways! 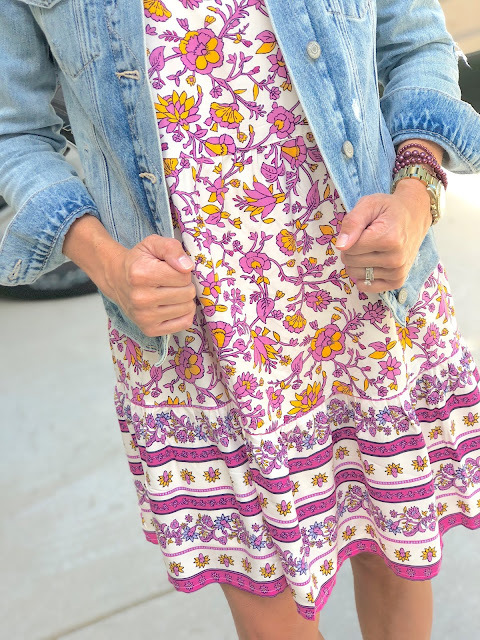 For now I'm still wearing it alone with sandals because it is so dang hot in Atlanta, but when it starts to cool off I'll add my denim jacket and booties or a cardigan and boots! One dress. Three ways to wear it. Old Navy is having a big Labor Day Sale this weekend with 50% off a lot of their dresses so I feel like there are so many other options you could do this with...wear different ways and make them last from now through fall just by adding a sweater or jacket. 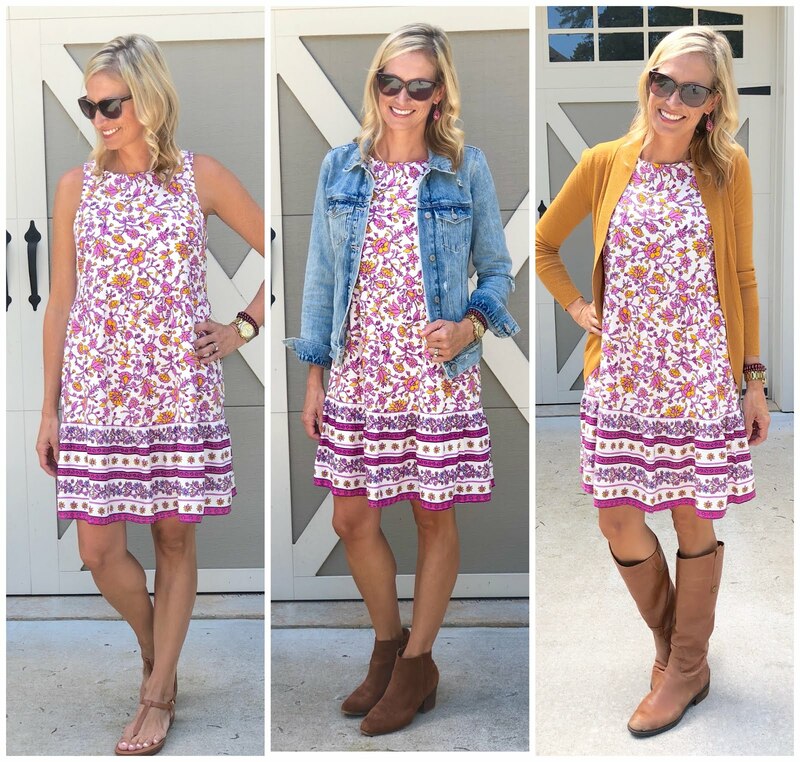 Plus, for dresses that are $20 or less, that's such a steal when you think about all the ways you can wear it! We hope everyone has a wonderful long weekend!!! See you back here next week!!! School has been back in session for a few weeks now, and last week was the official start to all of our activities for the year. A few things might shift as the school year goes on, but pretty much it was a first run of our Monday through Friday from now until June. It was such a busy week that I wanted to do a little something fun to celebrate to kick off our weekend. 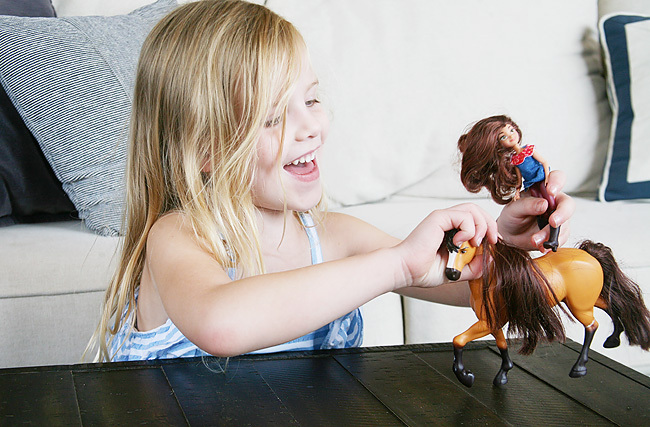 My kids love the show "Spirit Riding Free" on Netflix. The girls in particular are obsessed with it. If they get a free moment to watch TV, or be on their iPads, their go-to is a little time with Lucky and Spirit. And when they aren't watching they are singing the theme song. It's fun to see them so excited about it. Season 6 just came out on August 17th. We weren't able to watch it when it premiered due to our crazy back-to-school schedule, but I thought creating our own little premier would be fun on Friday evening. If you or your children haven't seen the show yet - and you have Netflix - I would put it on your radar. All of my children like it, but the girls slightly more. It's a show based on the movie Spirit: Stallion of the Cimarron. It's set during the 19th century in the small town of Miradero, Texas. A 12-year old girl named Lucky has relocated from the city to the small town, and encounters the wild mustang named Spirit. The horse has been caught by wranglers, and Lucky bonds with the stallion, and eventually frees him when the wranglers were trying to "break" him. 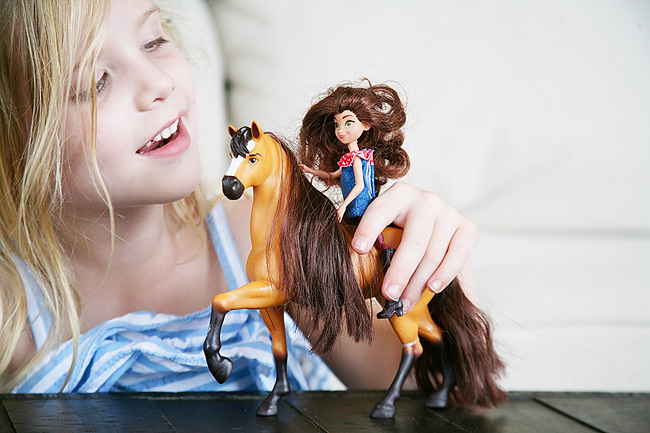 Along the way she becomes friends with Pru and Abigail, who both own their own horses, Chica Linda and Boomerang. Each day they embark on new adventures. The messaging and theme of the show is so fun and positive. Not to mention, we never seem to get the theme song out of our head. I couldn't wait for the girls to get home from school so that I could surprise them! While they were gone during the day, I made my way to Walmart to grab all the necessities for our "Spirit Riding Free" viewing party. 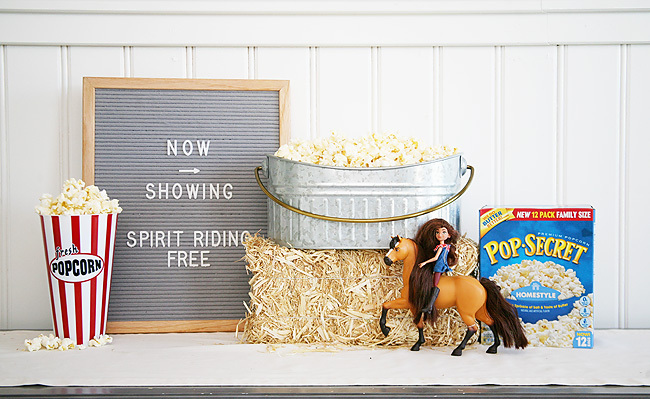 There are a ton of great ideas online to host your own "Spirit Riding Free" party. 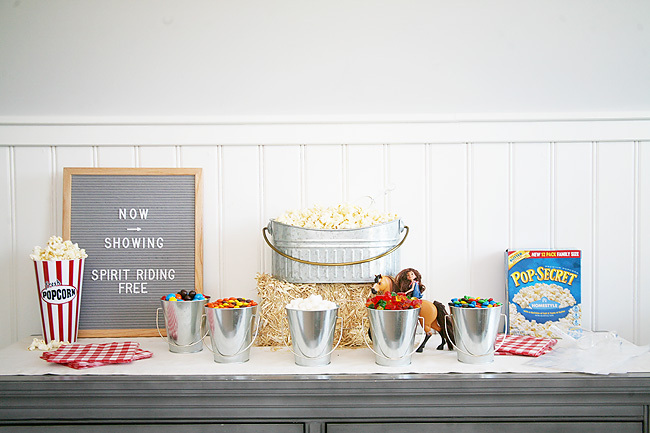 After some brainstorming I decided to keep it easy, and came up with the idea to create a fun popcorn bar to do a little something special, and make it feel like we were at the movies for our girl's night in. I grabbed a few boxes of our favorite Pop Secret popcorn. 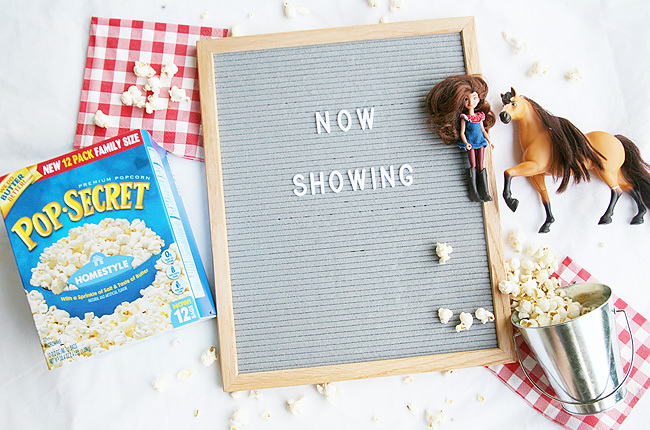 With its great butter taste and the new 12 pack family size box available in a variety of inventive flavors, I knew it would be the perfect popcorn to help create the popcorn bar. I had planned on using a variety of flavors, but at the last minute I changed my mind. 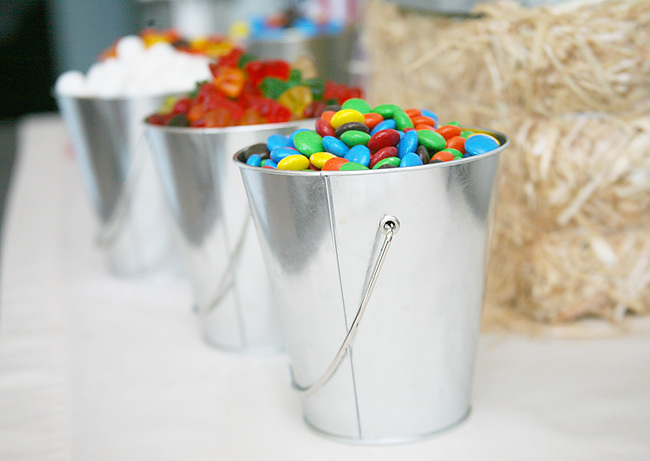 I decided to stick with the Homestyle option, and then grabbed a few candies and snacks for them to mix in with their popcorn. 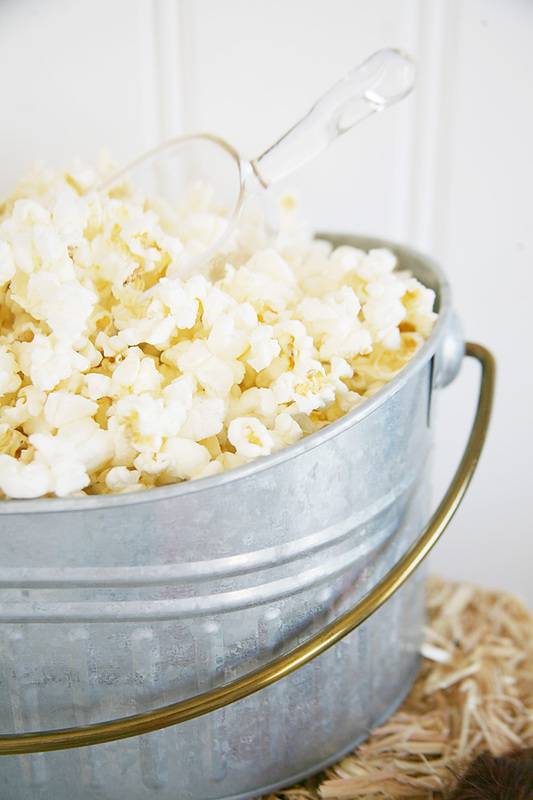 Who doesn't love a good salty sweet combo when they are binge watching their favorite show? When the girls got home from school, and I told them we were having a little mommy and me time watching the latest season of their favorite show, they were beside themselves with excitement. 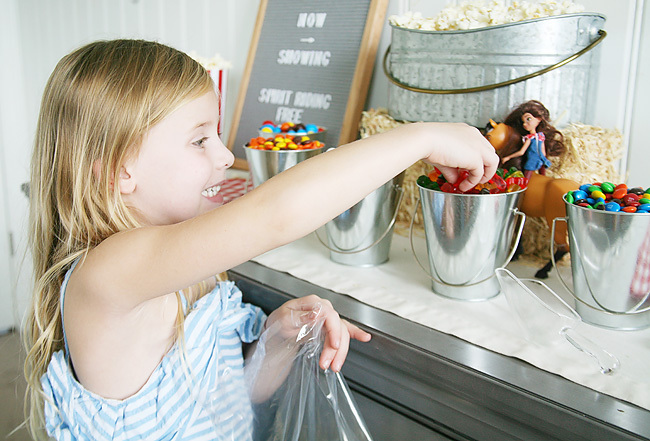 Then they saw the popcorn bar I set up, and the squeals of delight emanating from those tiny little bodies were loud enough they were probably heard in 19th century Texas. 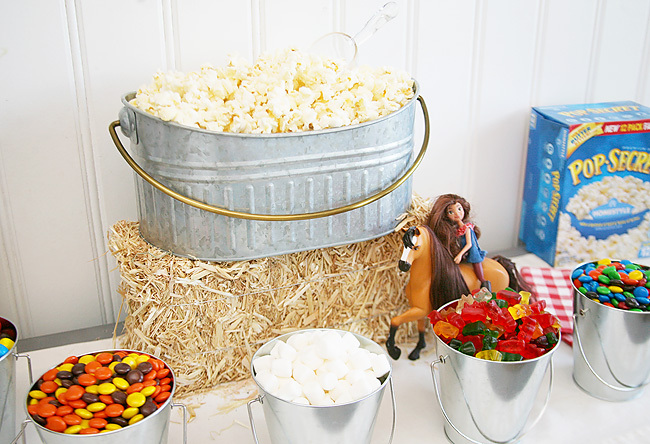 It looks like I went way over the top on the popcorn bar, and maybe I did a little. But, it was so easy to set up! So easy that everything was ready to go in under five minutes! I love ideas like this! They look pretty, but don't require a whole lot of effort. The hardest part was not eating all the yummy popcorn and treats before the show started. 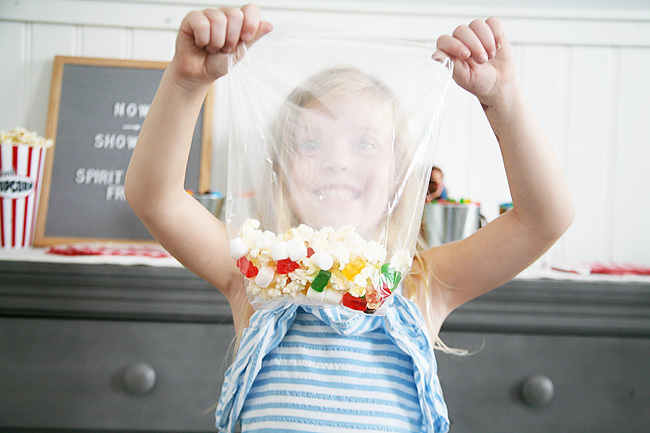 The girls each have unique tastes, so it was fun to see what mixture they each created to put in their popcorn snack bags. And give them a little taste test myself. 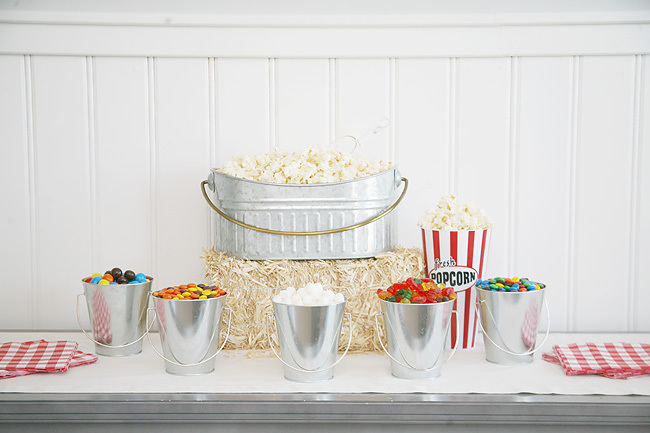 Setting up the popcorn bar was super easy! Now that I've put one together, I will definitely be doing it again for another movie night - or even for our next party. Lay out large bowl with small bowls around it. Pop popcorn according to instructions. 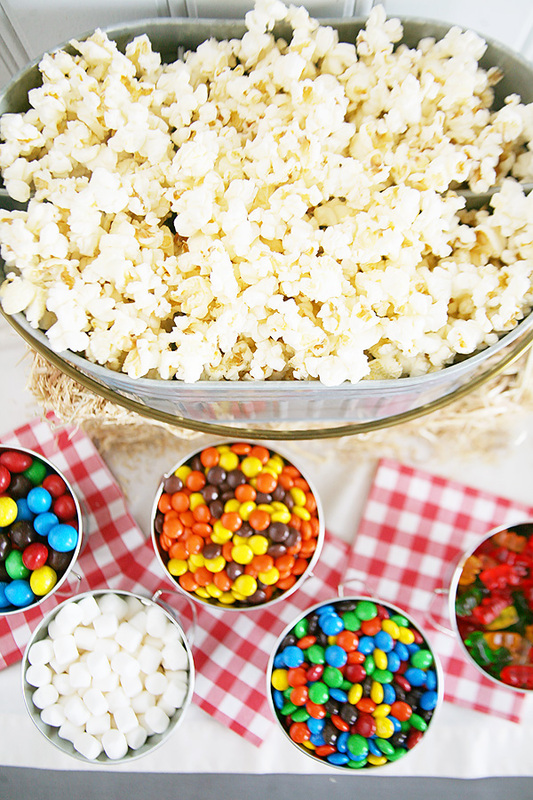 While popcorn is popping, place candies/snacks in smaller bowls. Serve and enjoy the show! 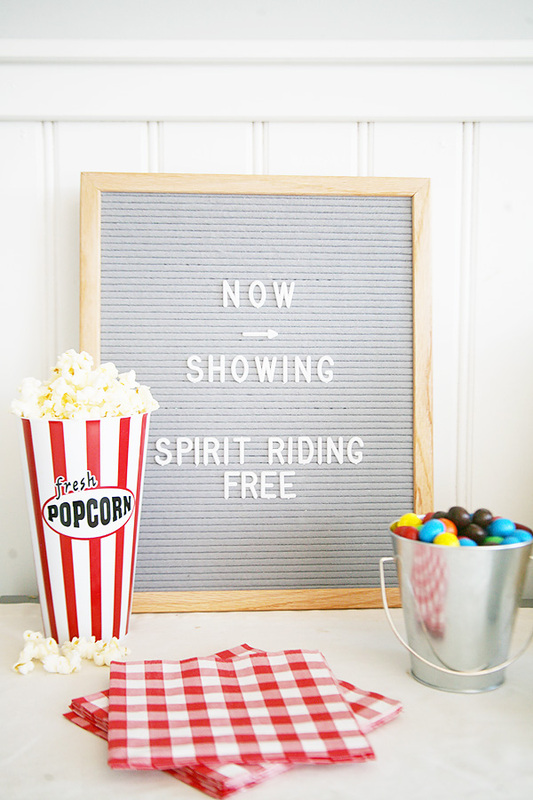 The girls loved watching the new season of "Spirit Riding Free" in such a special way. Normally I don't go so over the top, but it was fun giving them a little extra treat for something they were so excited about! We made it through three of the new episodes on Friday, and it's already looking like this season is just as adorable as the previous seasons. 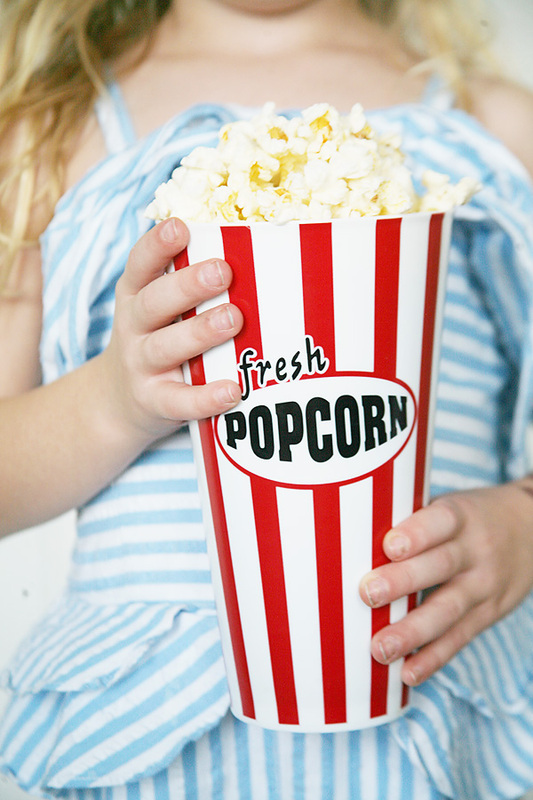 I promised them after dance today they could watch another one - popcorn included of course! Do your little ones have a show they love and get so excited about? Each one of mine has been into a different one at this age. It's fun to hear what excites other, and what might be a fun new one for us to add to the mix! Okay fellow mamas - this one's for you! Last week we met up for a little lunch date, and to browse through one of our favorite local boutiques, Findlay Rowe. The school year is in full swing, and we decided we needed a little carb and retail therapy to get us through the end part of the week. Findlay Rowe is the perfect place to get a little shopping fix in. 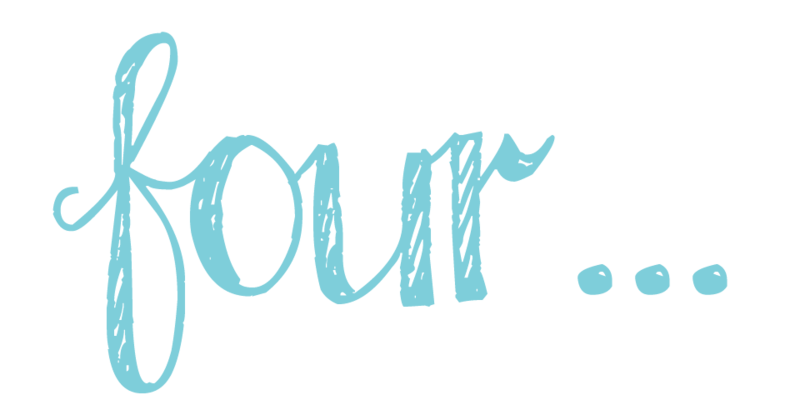 From fashion to home decor - and lots of goodies in between - there is a little something for everyone! We've chatted about this little gift shop a ton, and we've gotten to know Barbara and Audrey pretty well over the years. We just adore them. If you are in the Roswell, GA area definitely pop in for a visit. Plus it's conveniently located across from a Target. Talk about a dangerous (in an oh so amazing way) combo. If you can't get a little endorphin retail boost between the two, nothing is going to help you. We browsed and chatted away happily. It's amazing what a little girlfriend time can do to help alleviate school year stress. During the week we are both single moms. From 6:00a.m. to 10p.m. (or later now that middle school has come into play) we are go, go, GO! We enjoy this season of life, but it is chaotic with three kids a piece. We wrote out our daily schedules once a long time ago on the blog. If we did that now, it would exhaust you just reading it. We know we aren't the only ones! Talking to other moms, we know we are all in the same boat. Whether your husband travels or not. Whether you work full time, part time, are the one traveling, or stay at home. Whether you are the homework helper, the dinner maker, the dinner picker up (fist bump), actual food source for your babies, the after school taxi, the get up in the middle of the night scary dream caretaker, the rush through rush hour parent before daycare closes, the coach, the PTA president, the room mom, or one of the other millions of roles that comes with parenting. We are all in that parenting boat floating in a sea of chaos trying not to tip over because, let's be honest, that's just one more outfit we would have to wash. Motherhood is rewarding and challenging all at the same time. Our recipe for survival: good girlfriends and an excellent bottle of wine. Sometimes two if it's been one of "those" days. If throw up has been involved, skip the wine and head straight for the tequila. No judgment here. Listen, everyone has their coping mechanisms. Meditating, reading, going to the gym - we all have something to help get us by. And while all those things are amazing, burpees just don't seem to make learning (yes, we said learning) and explaining common core math or the Pythagorean theorem quite as fun as cold, fruity goodness poured in stemless glass. As we were shopping, we couldn't help but be drawn to all the fun wine items Findlay Rowe had on hand. 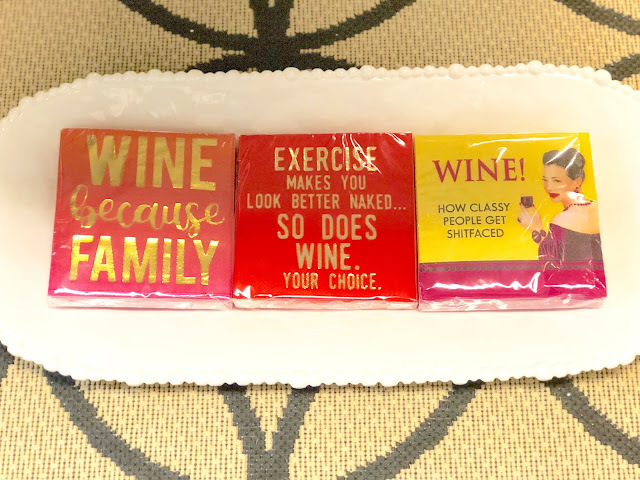 We had a good laugh at some of the fun tags, glassware, and cocktail napkins they had on hand. We just had to grab a few fun things for ourselves, and some others for our girlfriends as gifts! They also had a huge selection of wine accessories and openers on hand. 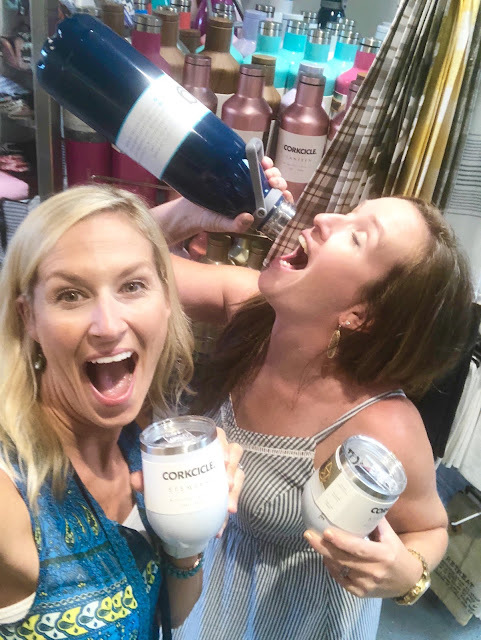 We absolutely loved this Corkcicle wine chiller. 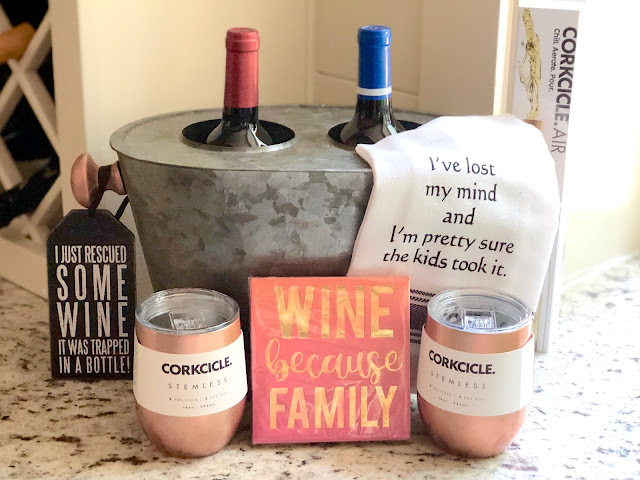 It will especially come in handy those days you don't have time to refrigerate your newly purchased vino in between grocery shopping, carpooling to soccer practice, hammering out 15 emails, and paper mâchéing the social studies project due the next day. 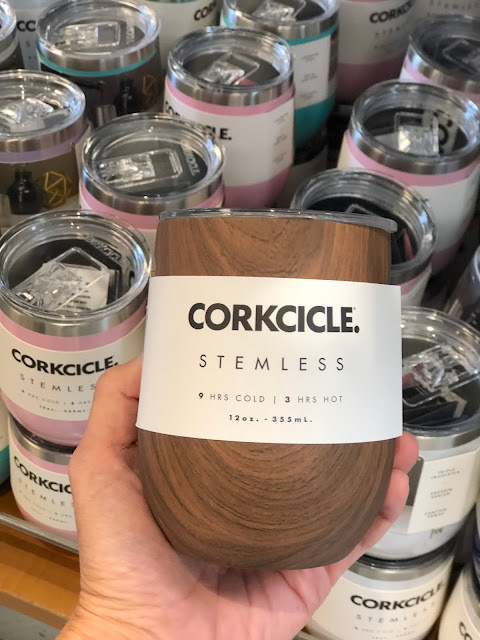 And while on the subject of cooling products, we realized the good people of Corksicle and Swig just seem to understand a mommy's inner needs, wants and desires. Yes, you read that right. 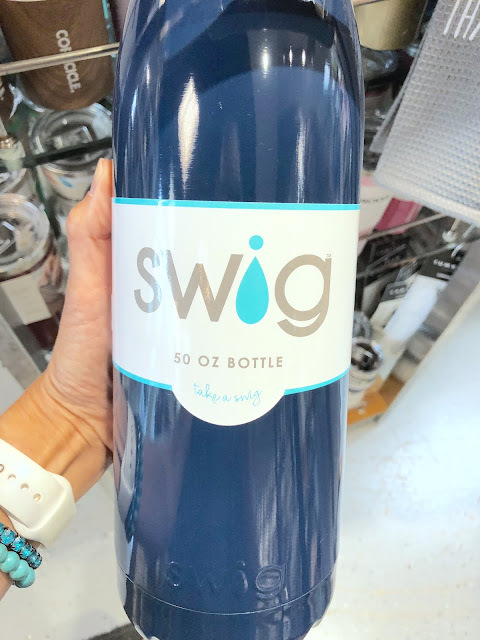 A full 50 oz of wine. Just like we teach our preschoolers, sharing is caring. You'll be new besties with all the fellow moms in the bleachers with one of those. 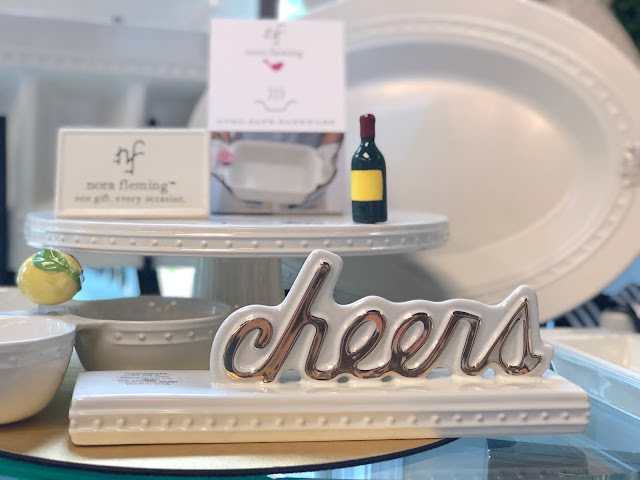 CHEERS TO ALL THE MAMAS GIVEAWAY! We couldn't help ourselves (or drink alone!)! 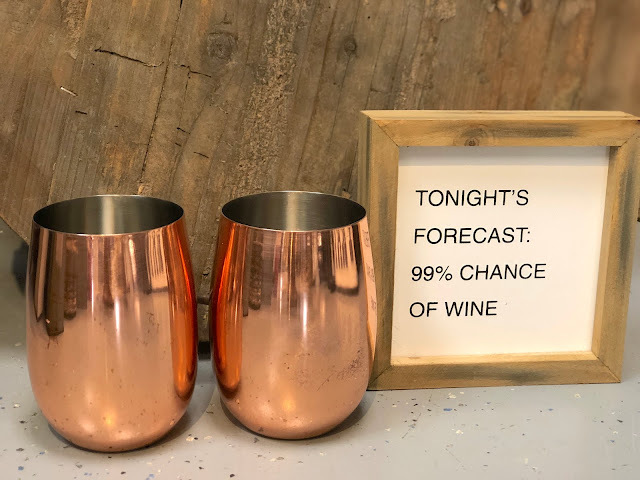 So we asked the gorgeous (fellow wine drinking) ladies at Findlay Rowe to help us get all the mamas through back-to-school season. We are giving away one gift basket with over $150 worth of our favorite wine themed goodies! To enter to win, just comment below. For an extra entry visit our post on Instagram. Winner does not have to be a mom, but must be 21 or over and a U.S. resident. Winner will be announced on September 5th and will be contacted via email. Winner will have 48hrs to claim prize or a new winner will be chosen. Good luck and cheers everyone! P.S. If you see anything you like, Findlay Rowe is happy to ship it to you! Just give them a call or shoot them an email! I don't know when I've been so excited to see a Friday. It has been quite a week. I feel like between middle school homework/tests, elementary school PTA stuff, blog things, sports practices and what feels like a million miles of playing taxi driver, I am just worn out. It's been a great week, but a busy one and this mama is thankful for a night with nothing planned this evening. Today I'm sharing some Friday Favorites and linking up with some of our favorite bloggers. 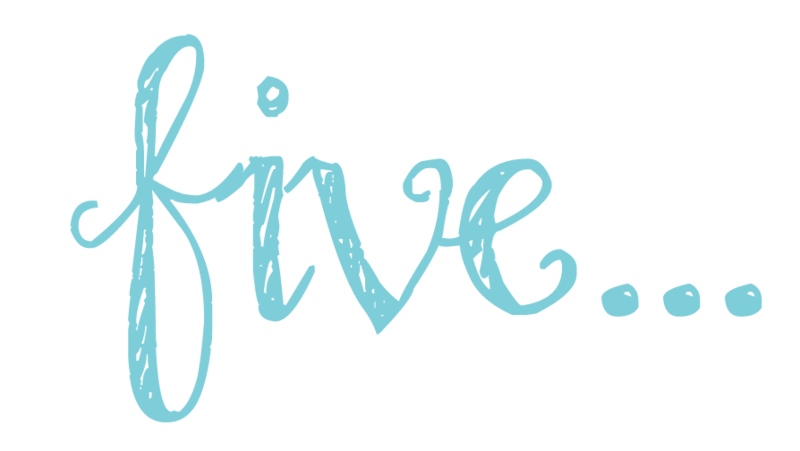 Lots of goodies today, so read along and I hope you all enjoy your Friday! Not sure about y'all, but we use a good bit of hairspray in our house. My oldest needs a super strong hold for her cheer hair-dos, but I like something really light weight and sheer. 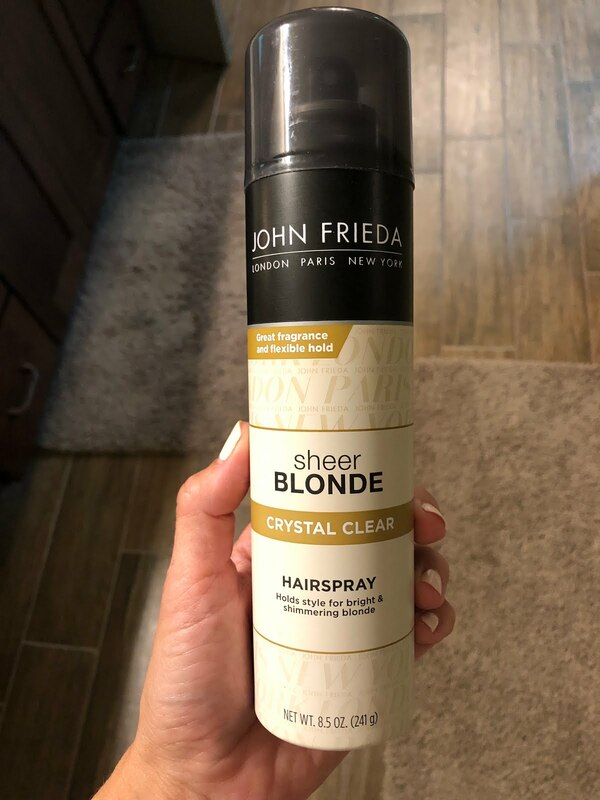 When I ran out of my old can I saw this Sheer Blonde one at the store and decided to give it a whirl. Well, you know what? I love it! It literally feels like you are spraying out air onto your hair. It is super light-weight and not sticky at all, but still holds my hair when I curl it. If you have blond hair and wear hairspray, I would give it a try! Now that school is in full swing, so is homework. 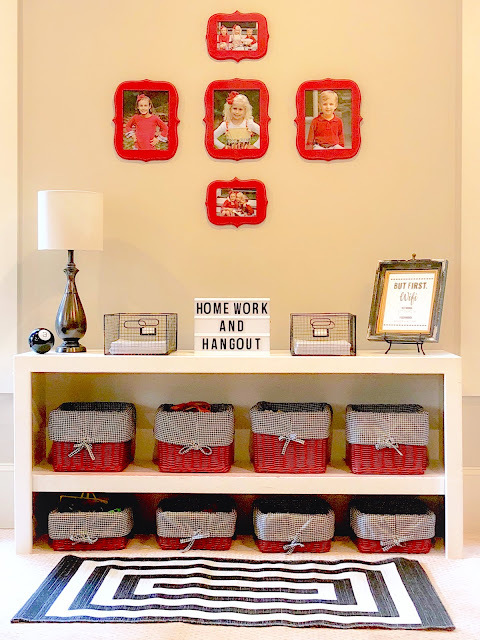 I'm still loving this homework station I created in our newly transformed playroom/hangout space. If they have to have homework, at least it can be done in a fun space! To see all the details of the homework station check out the post HERE. My oldest went to a sleepover birthday party not long ago and came home raving about one of the gift her friend received. 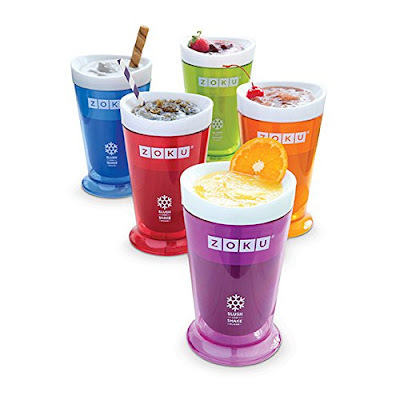 It was this Zoku Slush and Shake Maker. She was so pumped up about it that she convinced blondie to split the cost so they could buy one for themselves. Now, that in and of itself is a really big deal because that girl doesn't spend a cent of her money. I think now they wish they had each bought one, but they really do love it. You freeze the cup and then pour any liquid into it. 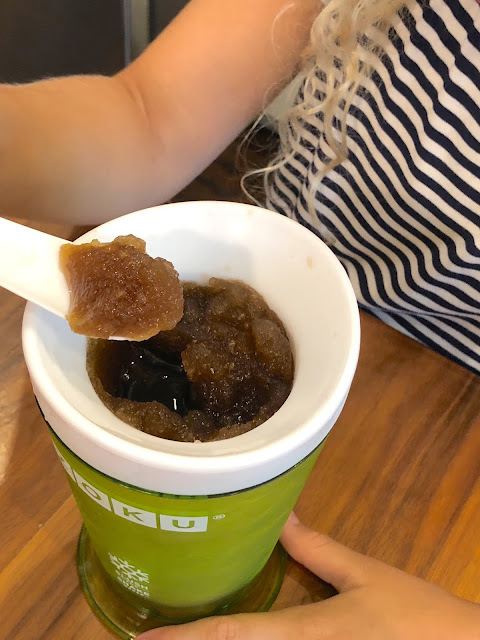 While stirring with the special spoon that comes with it, you watch your liquid turn into a slushie right before your eyes! They've done Gatorades, Sprites, Cokes, Juices, and just about anything else they can think of to pour in there! 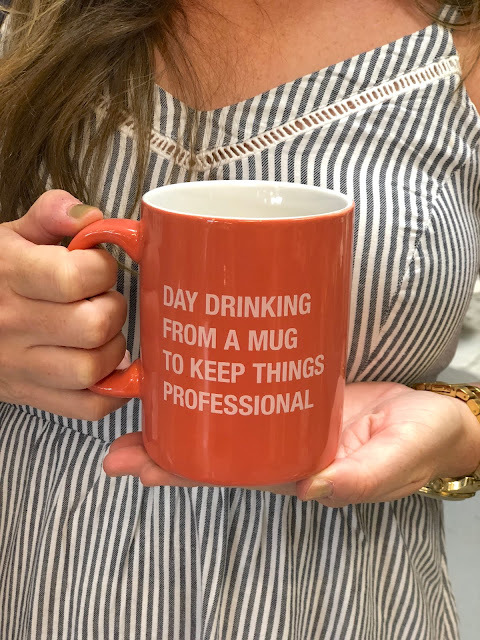 I'm thinking this will be our go-to birthday gift from now on! 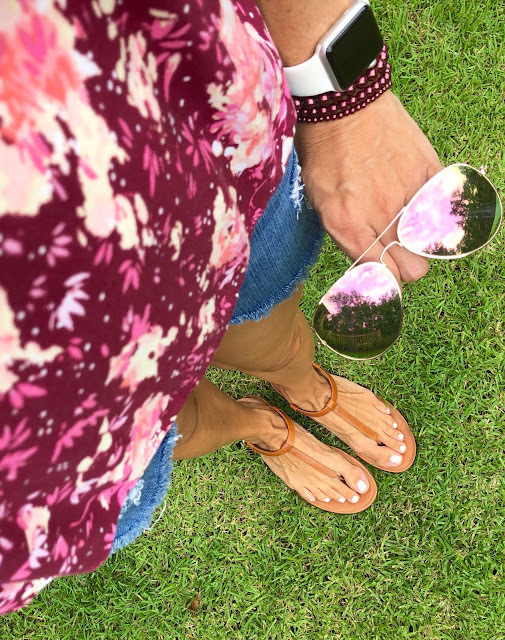 This portion of the post is sponsored by FitFlop and Shopping Links. All thoughts and opinions are my own. I've shared this here before, but I have a really hard time wearing certain types of shoes. I can't do flats because there is usually no arch support and I have self-diagnosed plantar fasciitis. SO, when I find a pair of shoes that are cute and that I can wear without my feet killing me the next day, I'm all about it. A brand I have recently tried are FitFlops and I am in love! They are SO very comfortable and I can literally wear then all day long without my feet hurting. I wore the gold feather sandals a ton this summer and am still loving them. ...and later with denim as things start to cool off. They are neutral enough to match just about anything so I'm wearing them with just about everything. And, I love that I can put them on first thing in the morning, run around all day in them, and my feet still feel great! I also got this pair of Chai leather boots that I'm obsessed with. I need it to cool off pronto so I can start wearing these. These are kind of like a sneaker twist on a bootie and comfy as all get out. I'll be sporting these with my white jeans, regular denim, dresses, skirts and leggings all fall and winter long! 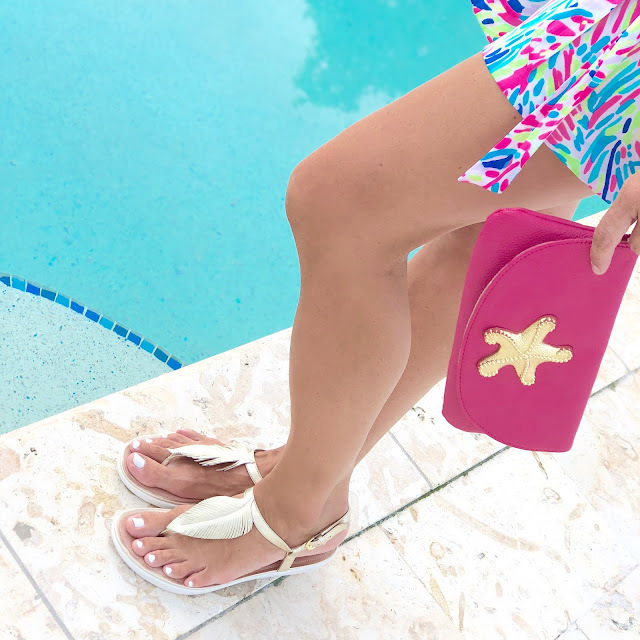 I actually received two pairs of these by accident and our sweet friends at FitFlop agreed to let us keep the extra and gift it to one of our readers! SO... if you wear a size 9 and would like an insanely comfortable and cute pair of shoes for fall, be sure to head over to Instagram a bit later today to enter to win! 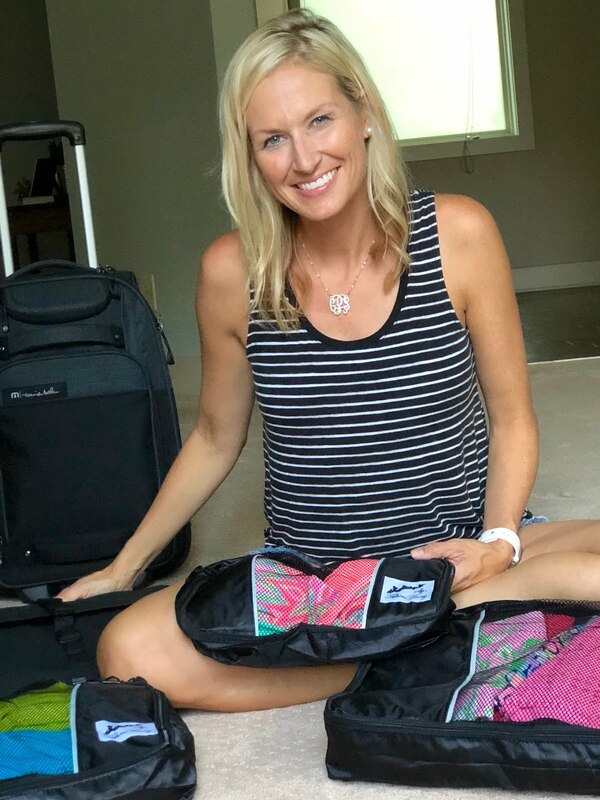 I have a little adult-only getaway coming up in a few weeks so I've been thinking a lot about packing and travel accessories to get ready for my trip. 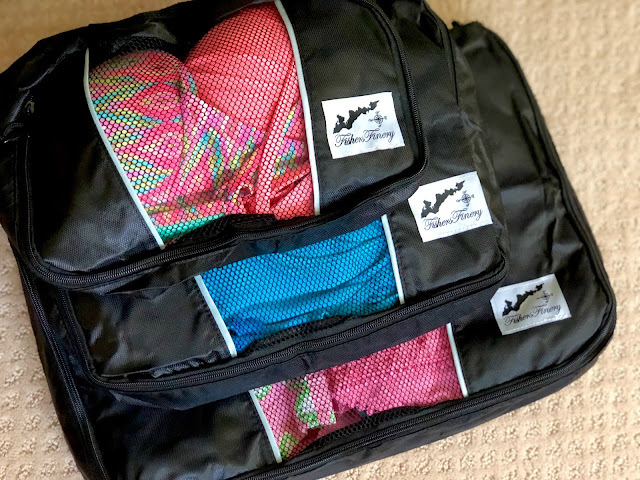 These awesome packing cubes from Fishers Finery are going to come in handy! When traveling with the Mr. he does not like to check bags. I get it, but for a heavy packer like me, that isn't ideal. However, if I must pack everything into a carry-on I've learned that I have to pack smart. These travel cubes help keep everything organized and really makes packing for a trip that much easier. 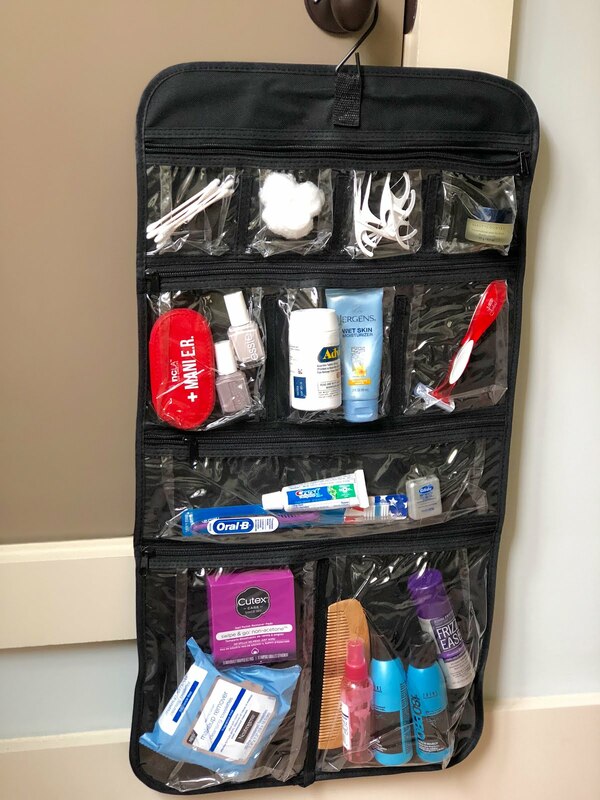 I also am pretty excited about their hanging toiletry bag and immediately switched all my travel stuff into it. I love that it has little pockets to keep everything organized and that I can actually see it all and find what I need quickly. If you'd like to purchase anything from Fishers Finery, be sure to use code: MAMAS10 to receive 10% off your order! Psst...they also have clothes! Hope everyone has a fantastic Friday and a wonderful weekend! Win $250 to Oriental Trading! 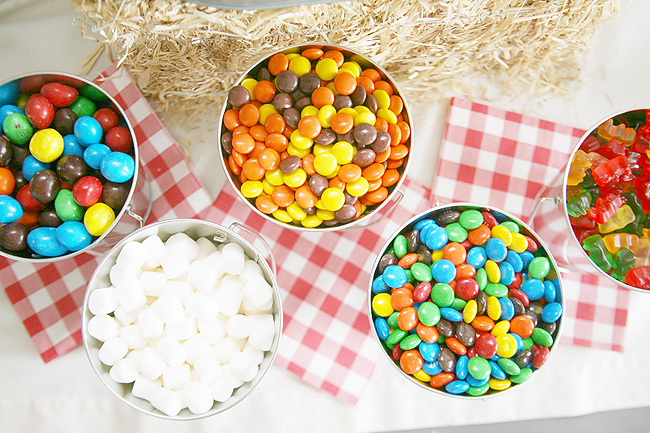 Share a Snack, Share a Smile!